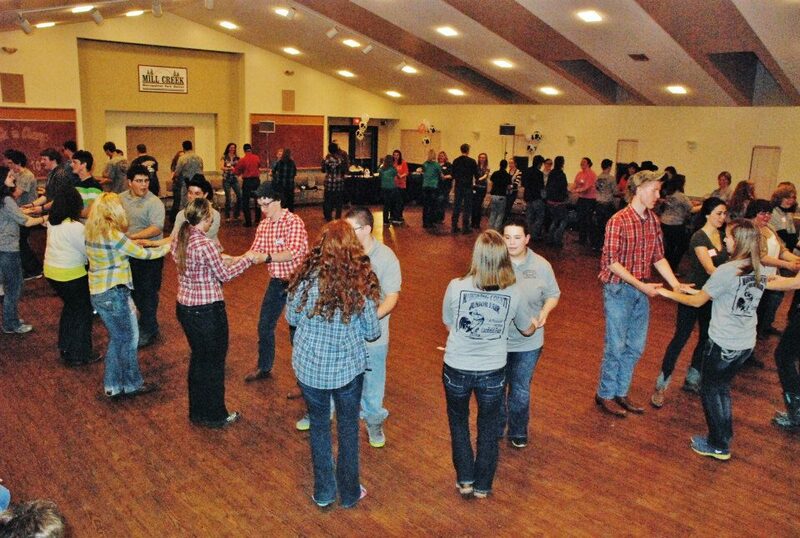 Many people are interested in participating in square, round and line dancing. That is one of the reasons I started the Square, Round and Line Dancing in Ohio group on Facebook. It provides a forum for people to share dance opportunities. Some people find this group and inquire about dances in their area. The fact is that not every community has such dance opportunities until someone chooses to organize one. It can be relatively easy to organize a dance in your own community. You simply need 1) a location with room to dance, 2) people willing to dance and 3) someone to lead/call the dance. Location - Here is a sampling of locations where I have led/called dances. People sometimes ask how much space is needed for square dancing. There are four couples (eight people) in one set. You will need about five square yards per set. People - Here is a sampling of types of groups that have engaged me to lead/call dances. Dance leader/caller - Here are some factors you should consider when hiring someone to lead/call your dance. What kind of dancing/music do you want? What is the dancing experiencing of people who will attend your dance? What is the teaching capability of the caller/leader? Does it matter if you have live music or recorded music? Who provides the sound equipment? I am willing to discuss these planning factors with you to help you host a successful dance. I can help you plan the event in addition to providing dance leading, music and annoucing/emceeing. Just complete this form and I will be in touch with you. You may also call me at 740-751-7924. If I won't meet your needs or am unavailable the date and time you want to host the dance, I will refer you to other qualified people. Look here to see what people have to say about dances I have led and called for them.